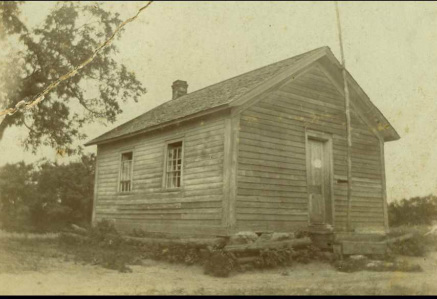 Notes: Organized in 1855 for the southwest quarter of the township and a log school was built. 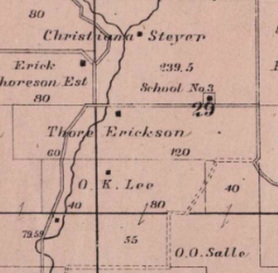 In 1898 the district was split into Ruste and German Valley Districts. Some of the early teachers were Iver Clifgaard, Frances Post, Inger Skindrud, and Clara Kjorlie. It later was moved and rebuilt as Ruste School. It was disbanded in 1899 when the German Valley School was built. Finally the building was moved and combined with German Valley School into a residence.